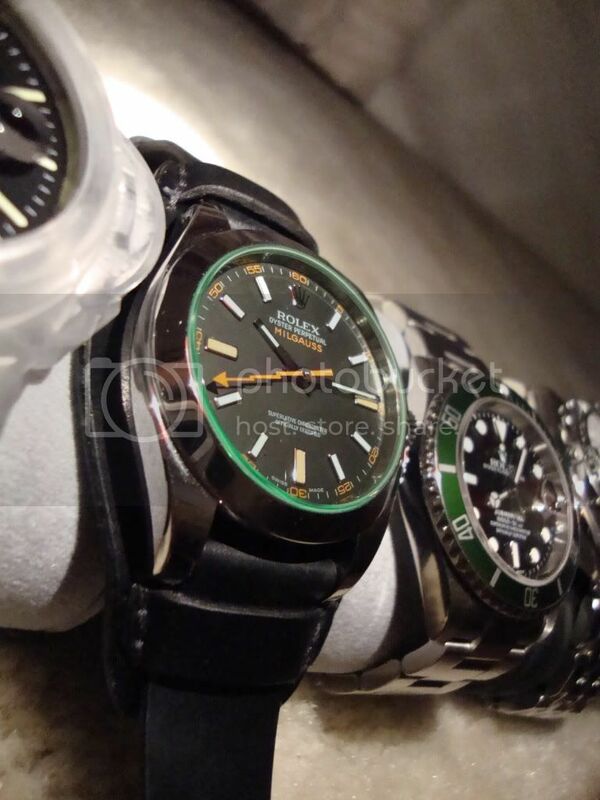 Discussion in 'Rolex Watches' started by Thani, Jun 15, 2009. Trying to improve my photography skills. :lol: ya right. The LV is representing! :thumbsup: Nice pics, Thani! 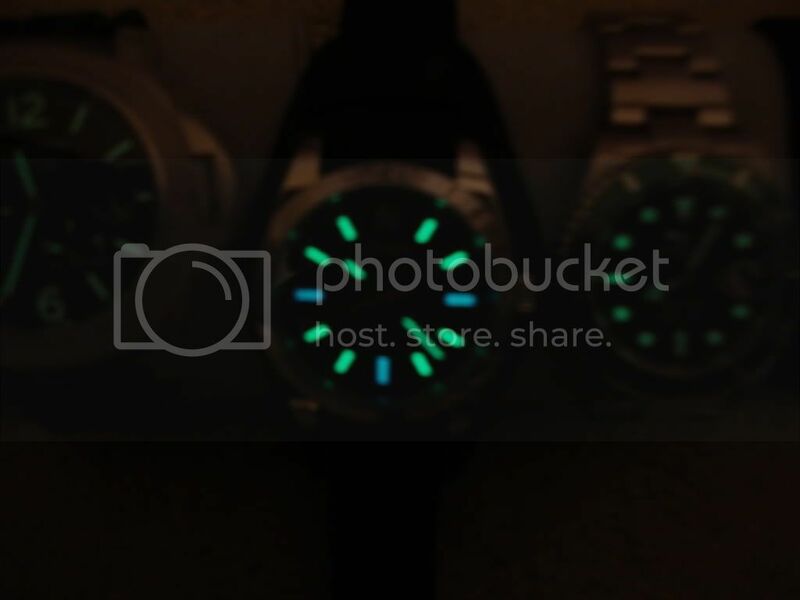 When I do Lume shots, I do the focusing first, do an AF lock, then turn off the lights and shoot the photo. The reason I do this is to allow the camera to focus better. Nice shots Thani! I really need to get a LV. 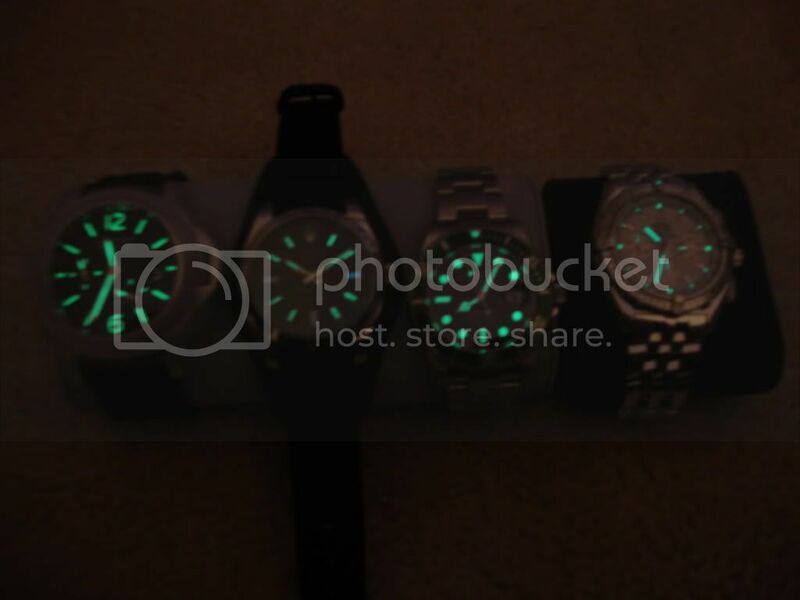 Wow, big lume there! 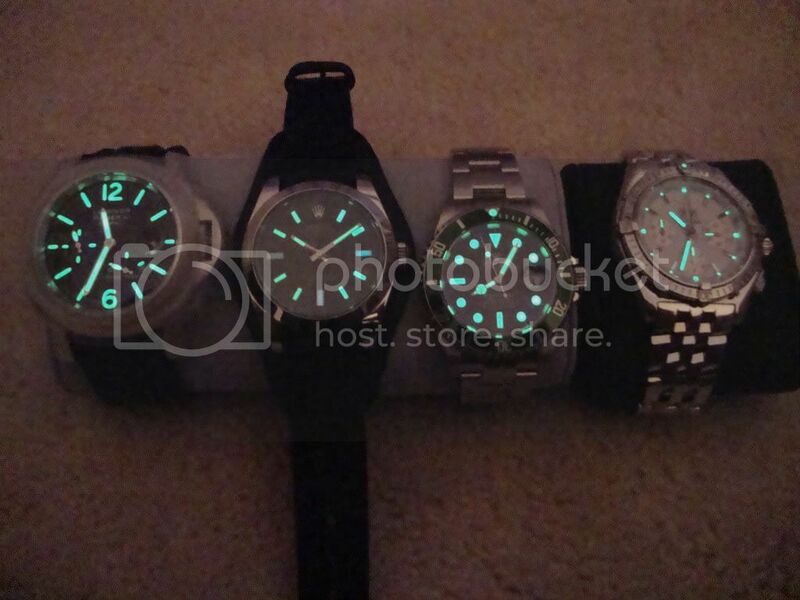 The LV and Panerai lume sure is powerful!!! 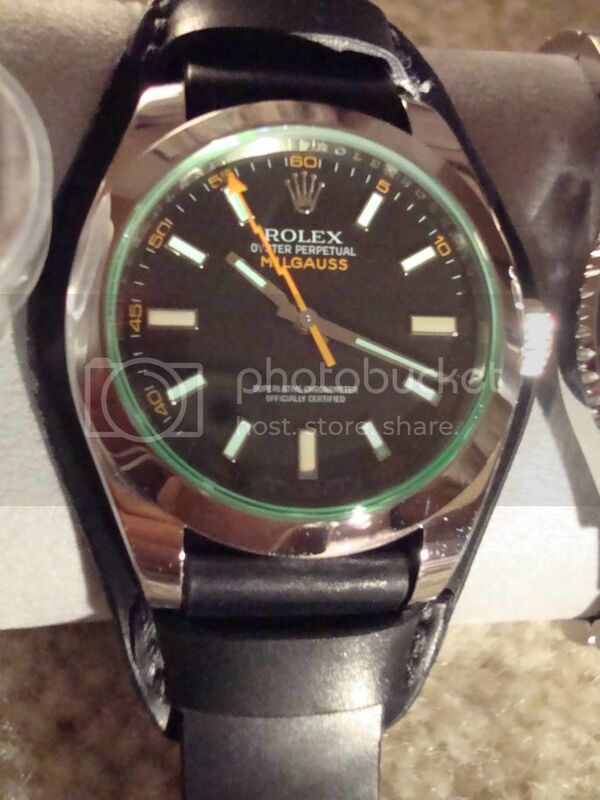 The blue of the Milgauss stands out well against the green, too. 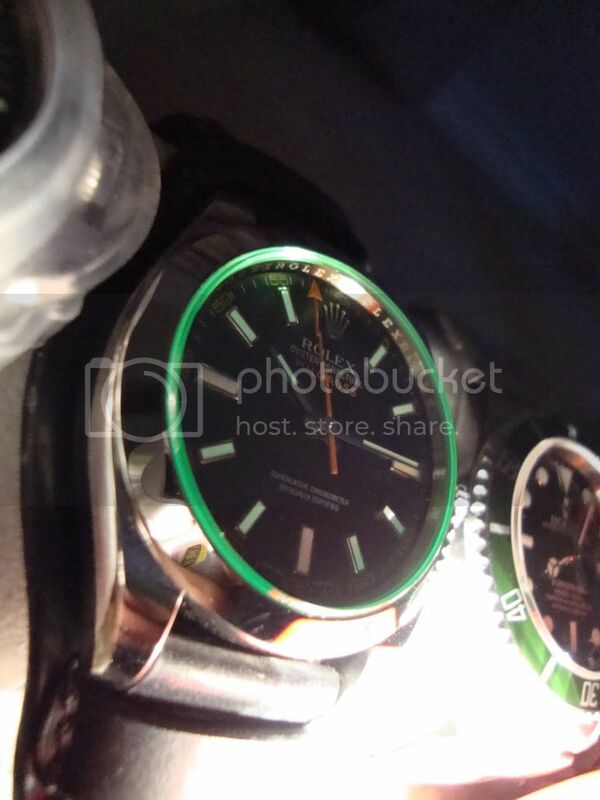 That Milgauss is something else!